(Tribune file photo by Brian Maffly) Kane County has designated hundreds of miles of obscure "class D" roads, such as this one north of Kanab, but has no revenue source to maintain them. Laws enacted this year divert gasoline and tourism tax revenues to rural countties for maintaining these obscure dirt routes. Sprawling across rural Utah is a 30,000-mile spiderweb of unimproved dirt tracks and routes, known as class D roads, that largely cross public lands. Often dead-ending after a few miles, these are the roads less traveled and have not enjoyed a dedicated funding source for maintenance. Denounced by environmentalists as a sneak attack on public lands, a bill passed out of last week’s special legislative session could divert millions in gas-tax revenue for blading obscure back roads into remote patches. SB2004 authorizes cities and counties to dedicate up to 30 percent of their state transportation dollars, normally pegged for secondary class B and C roads, to maintain their D roads. Rural county leaders say the bill, sponsored by the retiring Rep. Mike Noel, R-Kanab, helps shore up transportation systems on which many residents and visitors rely. Class D roads are often in poor shape and visitors get stranded on them, so maintaining them enhances public safety and reduces the need for rescues, leaders have argued in legislative committee meetings. With the innocuous title “Class B and C Road Fund Amendments,” the bill sailed through Wednesday without a single nay vote. 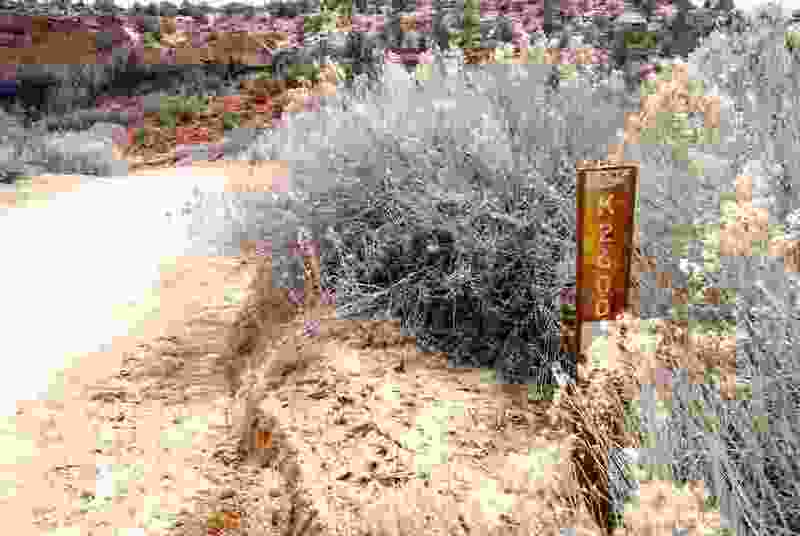 Critics see Noel’s measure as a gimmick to incentivize blading little-used tracks that are the subject of Utah’s legal fight over historic routes under the frontier-era statute RS 2477. Environmentalists argue improving class D roads serves little purpose other than bolstering counties’ legal claims to these routes and undermining the surrounding land’s wilderness value. The bill also shrinks Salt Lake County’s piece of gasoline-tax revenues by nearly $1 million. According to a fiscal note, Kane would get $183,000 of this money, and the balance would be returned to the pool available for maintaining secondary roads. The bill reprised Noel’s HB314, which passed both houses during the regular session, but time ran out before differences in the House and Senate versions could be ironed out. Those versions contained a bombshell that few noticed at the time but caught the attention of lobbyist David Spatafore on the eve of Wednesday’s special session. While Noel had described his bill as merely an administrative fix for a funding-allocations “glitch,” the measure really drove much further into controversial territory, according to Spatafore, who represents a half-dozen Salt Lake County cities. A problematic provision would have allowed counties to ”develop” class D roads to be included in their class B and C inventories. It also would allow counties to use the money to “administer, manage and plan” lands adjacent to their road networks. Under pressure from the Utah League of Cities and Towns, this language was stripped out before the bill reached the Senate floor Wednesday. Yet the amount of money now in play is huge under the language that passed. Last year, UDOT distributed nearly $137 million to cities and counties to maintain class B and C roads. Thirty percent of the share going to counties off the urban Watch Front amounts to $11.6 million. This is roughly the sum that SB2004 makes available for class D road maintenance. And that’s on top of the revenue transfer Noel accomplished in another recently enacted bill enabling rural counties to divert up to a third of transient-room tax (TRT) revenue to road maintenance. Over objections from Utah’s tourism industry, Noel shepherded HB367 through the 2018 general session, framing the bill in nearly identical terms as his HB314: Important to the health of rural communities, secondary roads deserve support from taxpayers. In the case of HB367, the taxpayers getting tapped are tourists, who pay the 4.25 percent levy on accommodations. TRT money is normally reserved to promote tourism and address it impacts. Industry leaders cautioned that HB367 could steer $2.5 million away from promoting rural Utah as a tourism destination. At at the same hearing, however, Duchesne County Commissioner Ron Winterton said his county has 900 miles of nonmaintained D roads that pose a hardship to the county because of their poor condition. For Kane County, where Noel lives, HB367 enables the County Commission to shift up to $700,000 of its TRT collections toward road maintenance. According to UDOT data, Utah has 36,014 miles of class B and C roads, the secondary routes for which cities and counties receive gas-tax revenue. Nearly 17,000 are paved; the rest are gravel and dirt. Funding is distributed to the counties and cities based on this mileage, equally weighted with their populations. Under a complex funding formula, they receive far more money for a paved mile, while a graveled mile gets more money than a dirt mile. The database indicates Kane, the county most embroiled in the RS 2477 fight, maintains 733 miles of class B and C roads in its unincorporated areas; 110 miles are paved, 209 have a gravel surface and 414 have a dirt surface. It has hundreds more class D miles that don’t count toward its allocation. Last year, Kane received just over $1 million to maintain its back roads. Under SB2004, it would be able to spend $300,000 of that blading its class D network.